So Fashionably Frugal: Liebster Blog Award! Great news! I was nominated for a Liebster Award by Roxy from January Blonde! Thanks so much Roxy! I had no idea what I had even been awarded yet and I was jumping up and down. Hey...it's my first blog award. I think I'm allowed to go a little crazy! 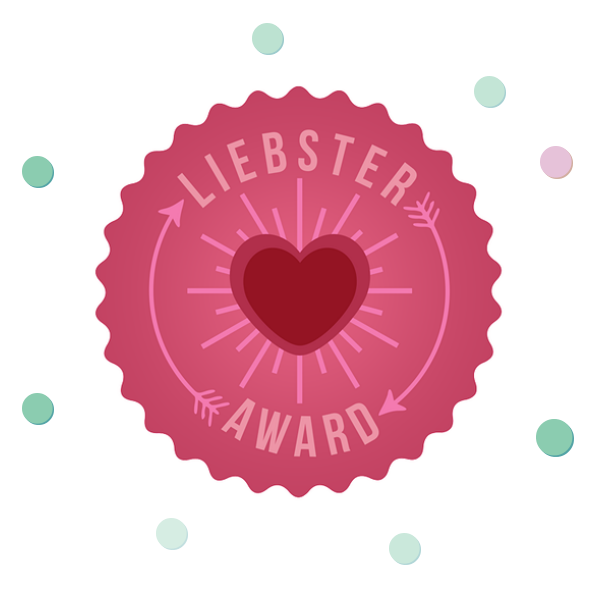 For those like me who needed a quick summary...the Liebster award is an online award given from one blogger to another. It's a great way to promote and put the spotlight onto new and up and coming blogs. 1) You must link back to the person who awarded you. 1) What's your favorite thing to blog about? 2) What inspired you to start writing a blog? I grew up in an area where fashion and style is pretty important...and it shows. I remember being so upset in middle school because I was one of the only girls that didn't have a $300 Tiffany necklace. Middle school! But growing up I realized that "real" style doesn't have to have a high price tag....it's about wearing what you love, and knowing what to shop for and when to shop for it. Sure, the giant price tag is important to some. But not to me. I want to pass that knowledge along to as many people as I can. 3) What is one item of clothing you couldn't live without? My sweatpants with the fleecy interior. I know, it sounds awful coming from a fashion blogger! But some days you really need your pair of comfy sweats. 4) What is on your summer wishlist? A grungy graphic tank top, pom pom shorts, and a floppy felt hat. 5) What was the last beauty item you bought? Flower nail polish in Go With the Flow-er . I think it's a great dupe to one of my Essie colors! 6) What's your favorite song right now? 7) What life motto do you choose to live by? Live every day to the fullest. I live and breathe this motto! 8) Do you prefer sun or snow? Snow. But only while it's snowing! After that it can go away because...I don't want to shovel it! Getting an interior design job in an absolutely crazy space would just make my life complete. 10) Who is your favorite blogger of all time? Cassey Ho from Blogilates. She cracks me up! But there are so many more that I love! 11) Why is your blog called what it is? Honestly...I just played around with words until I thought I had something kind of clever. I wish I had something a lot more interesting to write than that! My Nominees...this is what took me the longest!! 1) What's your favorite brand of all time? 2) What color nail polish do you wear the most? 3) Who are some of your favorite bloggers? 4) Share something really unique about yourself. 5) What's the story behind your blog name? 7) What did you dream of being when you were younger? 8) If you could only keep one thing from your makeup bag, what would it be? 10) What is your favorite post that you've written? 11) How long have you been blogging? Florals & Daisies Gone Grunge!